It is surely not at all lack of gratitude, rather abundance that has kept me from posting a hakarat hatov (recognizing the good) every day this month as I had planned, plans change, life flows. This week forward will be quite full, preparing to teach later this week, doctor's appointments, "stitching" together our 6th Annual Gratitude Quilt, and creating a little film to accompany it. So please forgive me for being terribly lax in visiting. It may be that I am only able to share I Heart Macro and will not post anything else until unfurling the Quilt on Thanksgiving Day. I am still accepting offerings for the project, so please if you have not done so already, send me a message, laurahegfield@comcast.net. It is so simple and uplifting to write down a word, a sentence a paragraph affirming you thankfulness. "What are you grateful for in THIS moment?" I can completely understand....I am linking in 2 blogs but will be somewhat busy with family through this week....I look forward to the Quilt. And thank you for doing all you do! I love your macro's Laura. What am I grateful for? Well, not only for my family and friends, but for meeting people like you in blog land. Truth! You have beautiful images here... visual haiku. I like the leaf image right above your i heart macro. Love the first picture ! Adorable ! We are in such busy seasons, celebrations more than gardening, with nature taking a break and leaving such colorful mementos. Much to be grateful for, and we need a heart full of thankfulness. Lovely photos! Wish you a nice week! 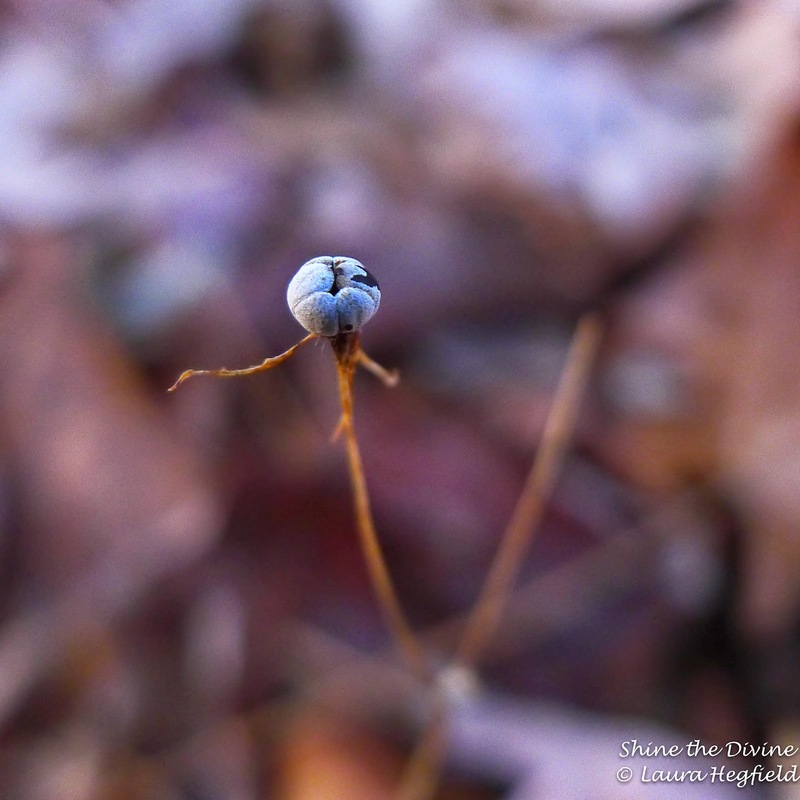 I'm thankful for your "I heart macro" post today and LOVE your pic. It reminds me on taking and giving / trusting & caring ... just to be safe wherever we are. I'm taking a little winterbreak and will be back to see you and your wonderful pics in 2015. Lovely shots Laura. Everyone is quit busy these days...Keep calm and enjoy. Thanks for hosting! Love all your images, specially the first one - so marvelous!! warm hugs and have a very nice week, my friend. I love this purple leaf! Have a nice week Laura! Beautiful fall images Laura. Thank you for hosting! Wonderful pictures! Thank you for hosting and A happy week of november! Beautiful photos!! Have a wonderful week! Hi,Laura. I sent my message to your email address as follows," I could find many various things from the blogger site. I want to express my gratitude to the all o my blogger friends." But,Email did not reach to you. The coomputer only said that " mistake had happen." So it's impossible for me to send a message to you. Sorry. These shots are a beauty indeed! !